Whatever it is you seek, join us for an unforgettable experience to enjoy the unique beauty that is Greece with skippered cruises in our motor yacht. Perfect for a family or simply a group of friends, create your own bespoke cruises choosing between 1-day, 2-day or weekly cruises. Explore the magical atmosphere of Corfu and its surrounding islets or the rest of the Ionian islands... just perfect if you adore the sea and breathtaking coast. Go ashore, walk around, meet the locals and discover secret places and picturesque landscapes on the mainland. Dare to dream about your ideal cruise and we will make it come true! 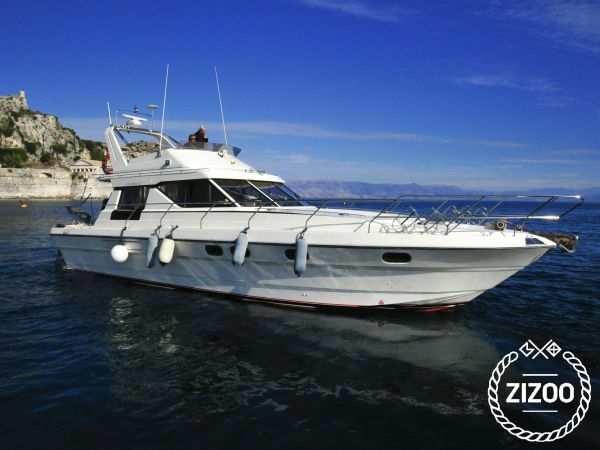 ​Princess 45 offers 3 luxury cabins (1 double bed ensuite, 1 double bed and 1 twin) and a lounge area with a sofabed for two people. Also, the lounge could accommodate up to 12 people for relaxation or lunch as there is a fully equipped kitchen. You can enjoy the sunshine and the seaview from the outer deck and the fly bridge. Requested 25 times this week!